This job is a PITA unless you have very small hands. 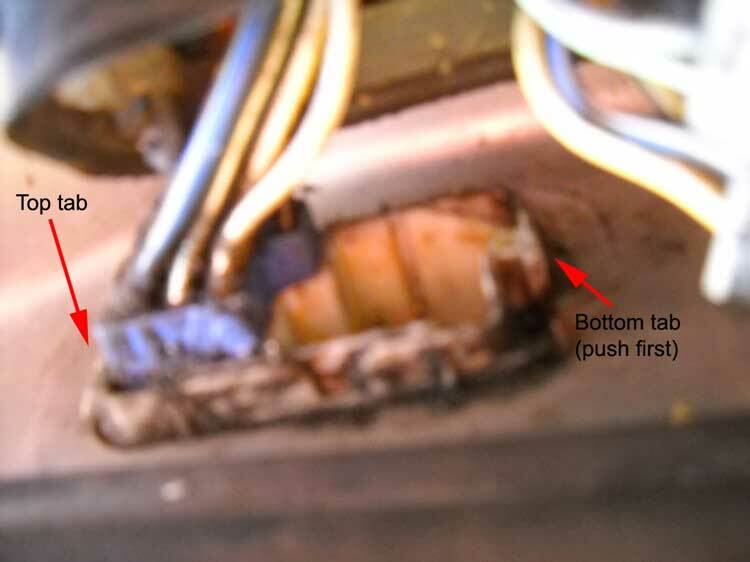 Take the female plugs out of the door connector. Push the tabs in with a screwdriver & pull the connectors out. On the driver's side the blue one is easier to get out so you may want to start with it. 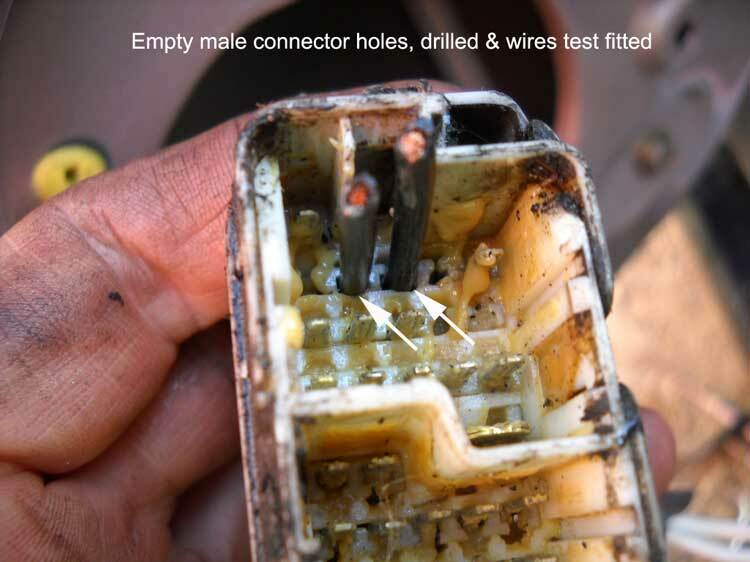 Pull the male connector out of the door. 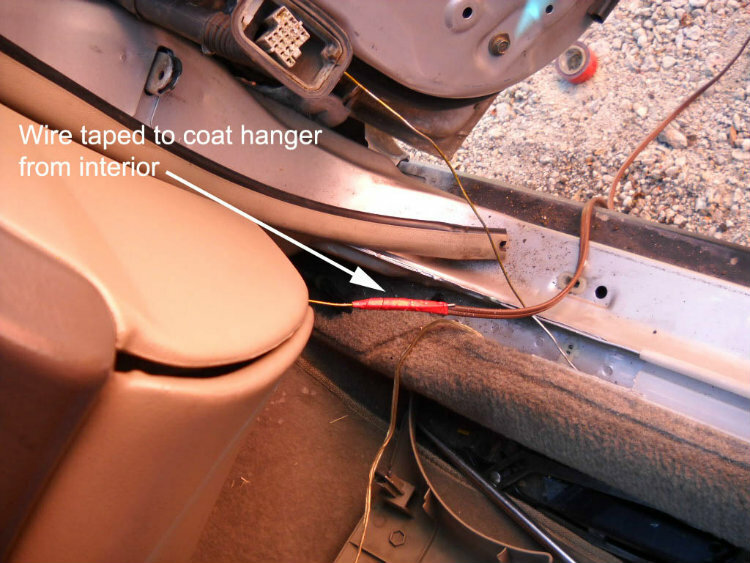 I ended up putting a small screwdriver on the door-side of the bottom of the connector, inside the door panel, and pushing down. That released the bottom tab. Then tilt the bottom in and slide the connector down so it clears the top tab. 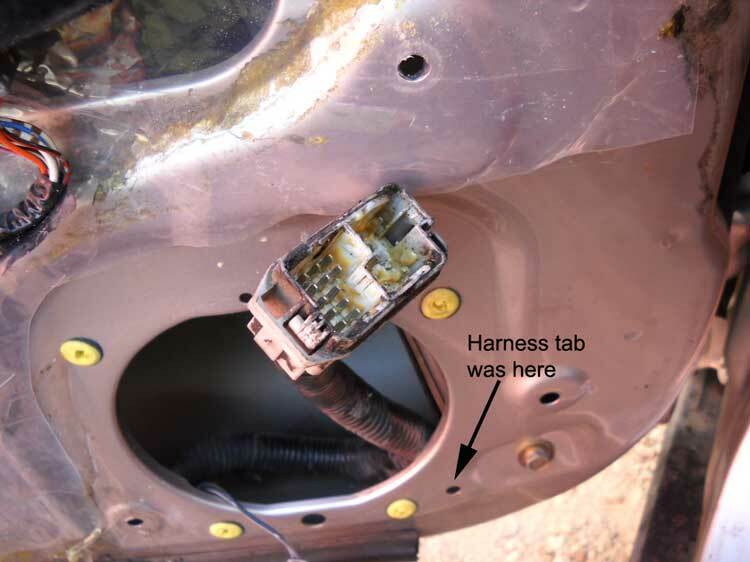 Driver's side, locate two adjacent empty holes in the white plug. Mine were here but everything's covered with dielectric grease so it's hard to tell where they are. Look on the backside to see which ones don't have wires running to them. 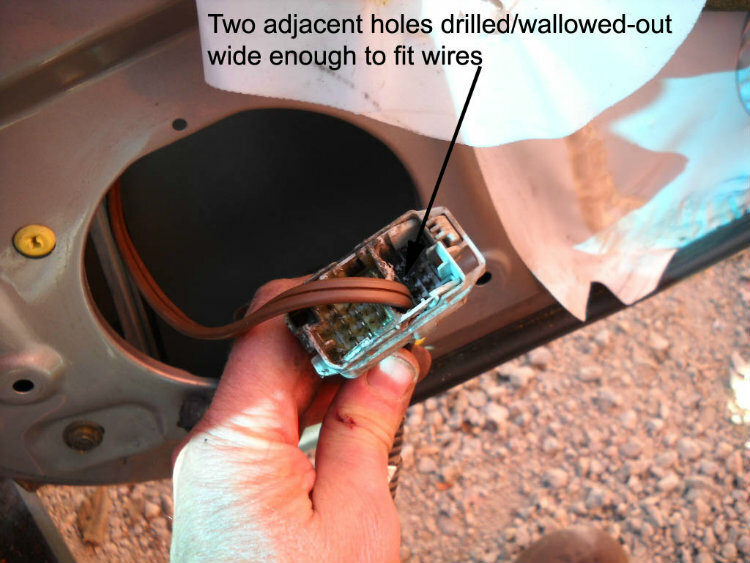 Clean out the grease and drill these two holes out so your wires will fit through them. A 1/8" bit worked for the 16 gauge zip cord I was using. 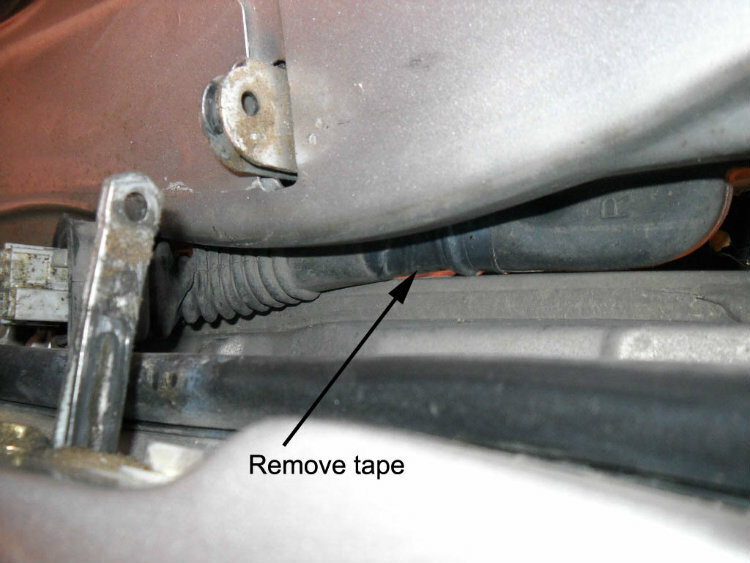 Release the tab that holds the connector harness to the door and pull the connector out of the speaker hole. Find the matching holes on the connector and do the same. 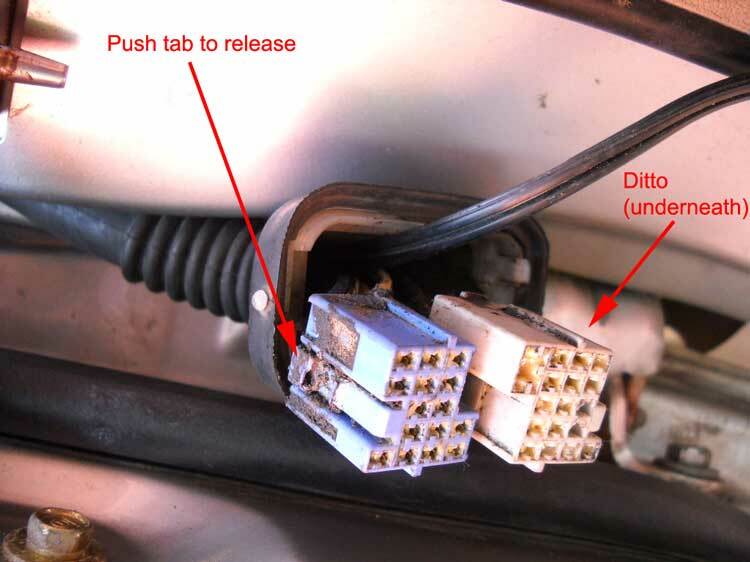 On the drivers side, using zip cord, I had to separate the two wires. Push each wire through a drilled-out hole from the back of the white plug. 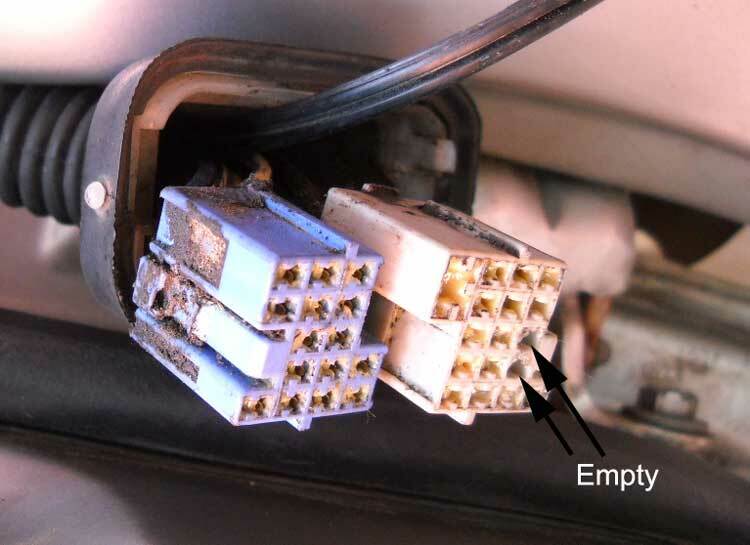 Then, making damn sure the wires aren't twisted, push the wires through the front of the connector, pulling them into the door panel. Snap the connector back onto the door. Pull the wires in so the white plug can snap into the connector, then snap the blue plug into the connector. 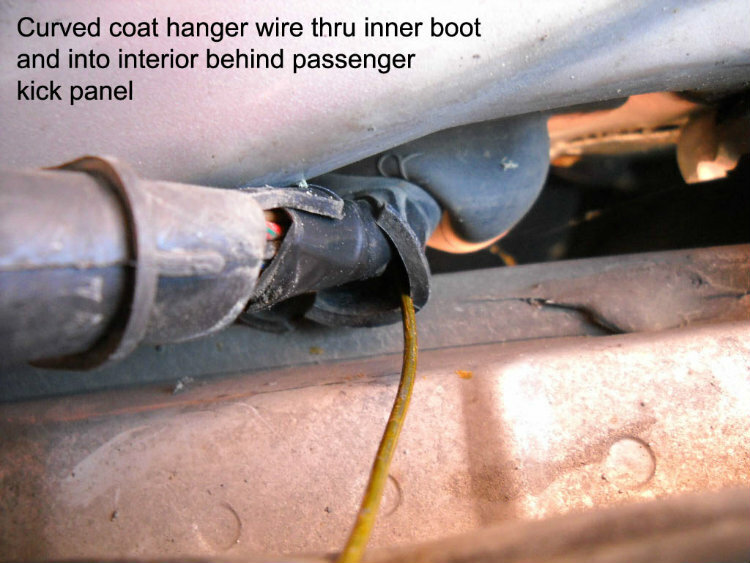 No need to separate the zip cord on on the passenger side. The Prelude threads say to tape the two boots back together. I don't see how that's possible on a 5th Gen Accord unless the fenders (or doors) are taken off. I just pushed the sleeves of the boots back together as best I could and left them untaped. nice write-up. i'll move this to the Audio section. Do this anytime we can at the audio shop i work at good write up! How to run speaker wire to doors? ?